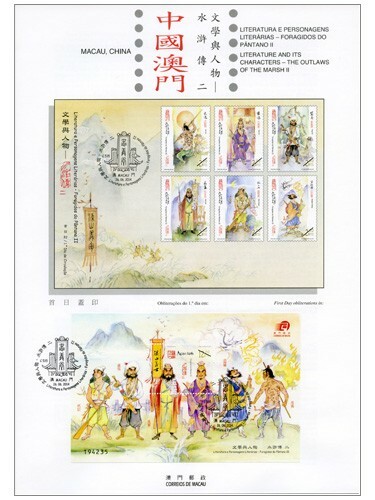 STAMP ISSUE "LITERATURE AND ITS CHARACTERS – THE OUTLAWS OF THE MARSH II"
Following the first issue “The Outlaws of the Marsh” of the stamp series Literature and its Characters issued in 2003. 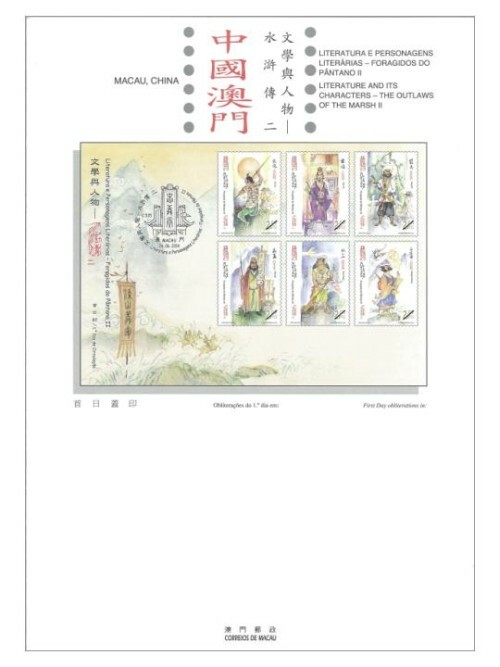 Macao Post will release the second issue “Literature and its Characters – The Outlaws of the Marsh II” on 26th June, 2014. 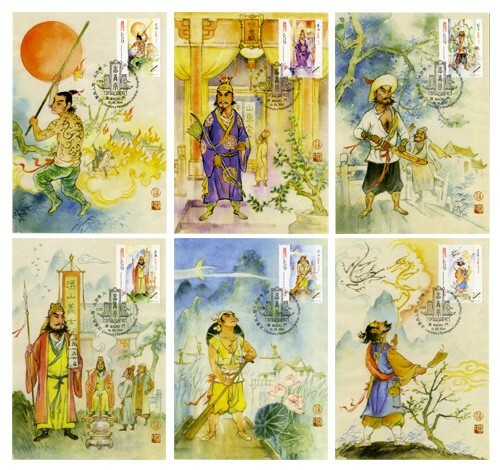 “The Outlaws of the Marsh” is one of the four great classical novels of Chinese literature. 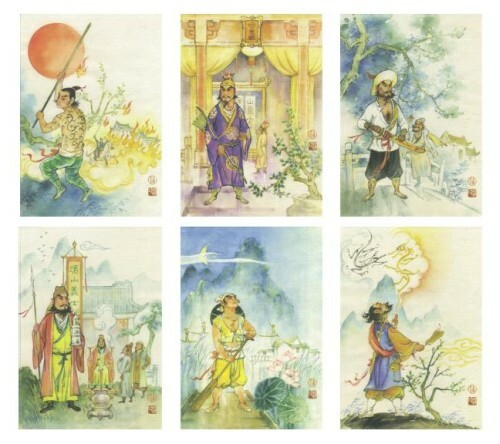 The story about the heroes of mount Liang Shan is as fascinating as an epic, which is an outstanding masterwork of Chinese brilliant culture. 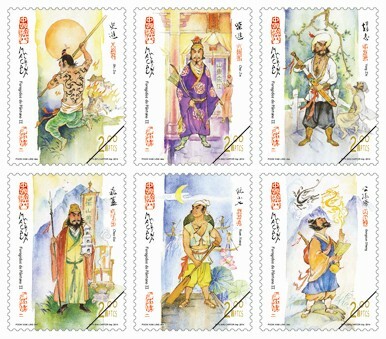 The heroes in the story have their individual background, character, thought and appearance. 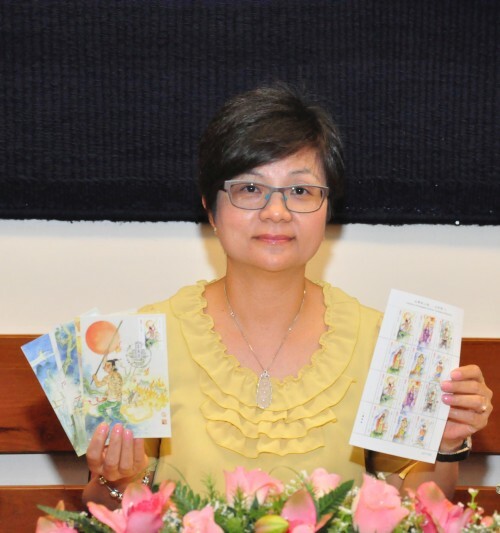 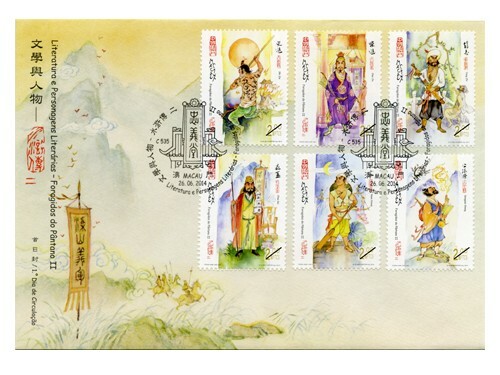 The stamps depict the six chivalrous heroes during the development period of mount Liang Shan, which include: Shi Jin, Chai Jin, Yang Zhi, Chao Gai, Ruan Xiaoqi and Gongsun Sheng. 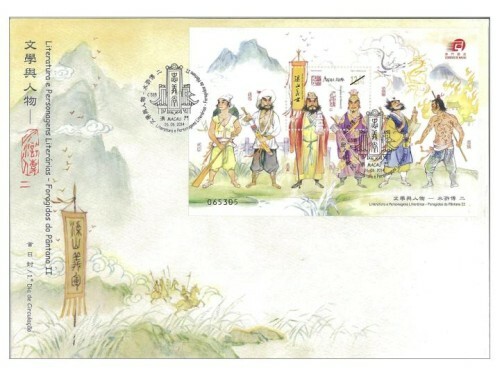 The souvenir sheet portrays the six heroic bearing heroes standing in front of Liang Shan Marsh with a flag written on “Heroes in Mount Liang Shan”, states the theme of the stamp. 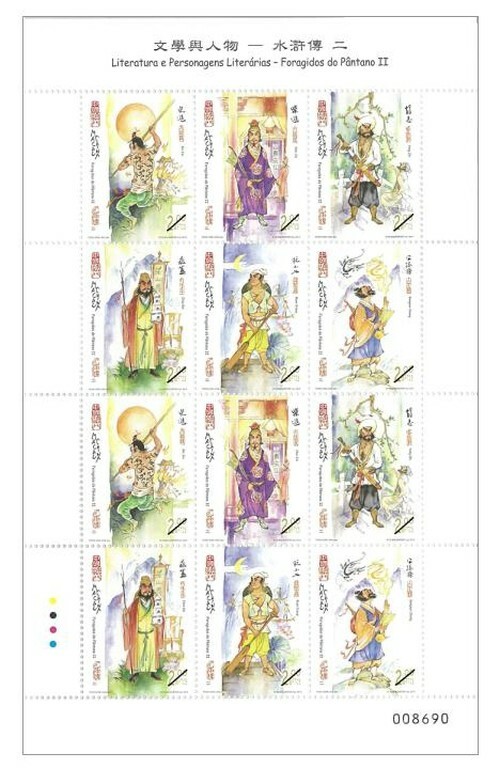 This is the sixth issue in 2014. 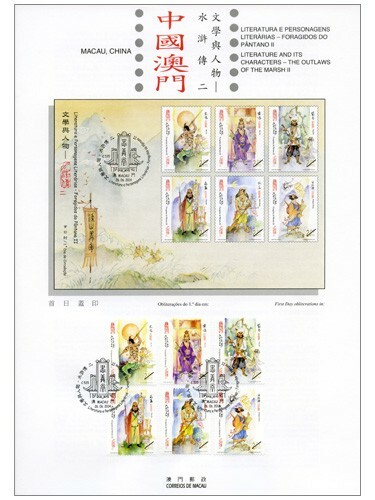 The previous issued stamps are “Lunar Year of the Horse” on 03/01/2014, “140th Anniversary of Conde de São Januário General Hospital” on 06/01/2014, the label stamp “Lunar Year of the Horse” on 14/02/2014, “130th Anniversary of Macao Post” on 01/03/2014 and “Animal Protection” on 28/04/2014. 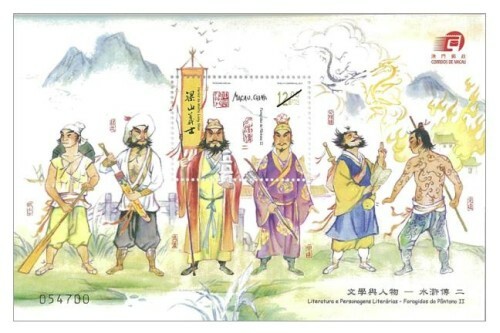 Technical Data of Stamp "LITERATURE AND ITS CHARACTERS – THE OUTLAWS OF THE MARSH II "